Walking out of Jackson Square toward St. Louis Cathedral, Pirate’s Alley appears on the left, between the Cathedral and the Cabildo. 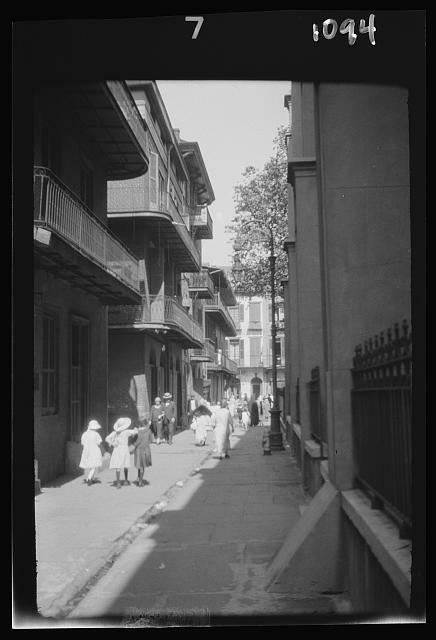 Formerly known as “Orleans Alley,” the passage is one block long, extending from Chartres Street at Jackson Square to Royal Street. 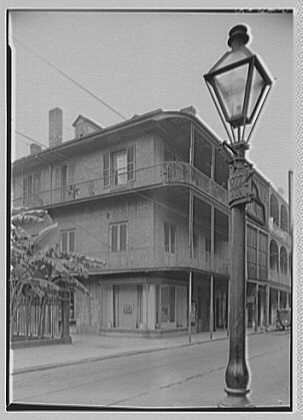 Halfway down the alley, a lamppost marks its intersection with Cabildo Alley, which extends (the width of the Cabildo) to St. Peter Street. 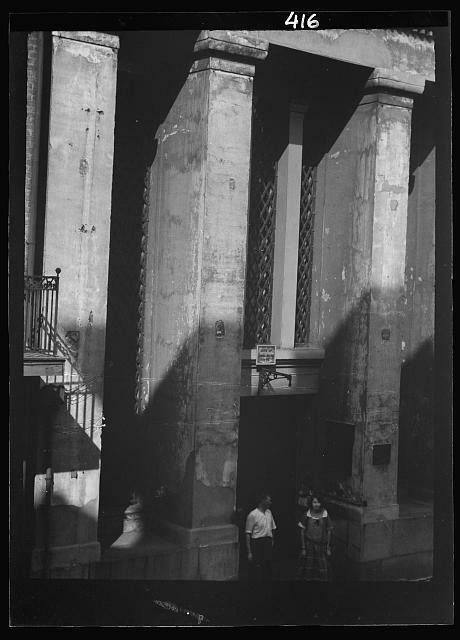 Much legend swirls around Pirate’s Alley and its location between the original Spanish prison and the Cathedral. 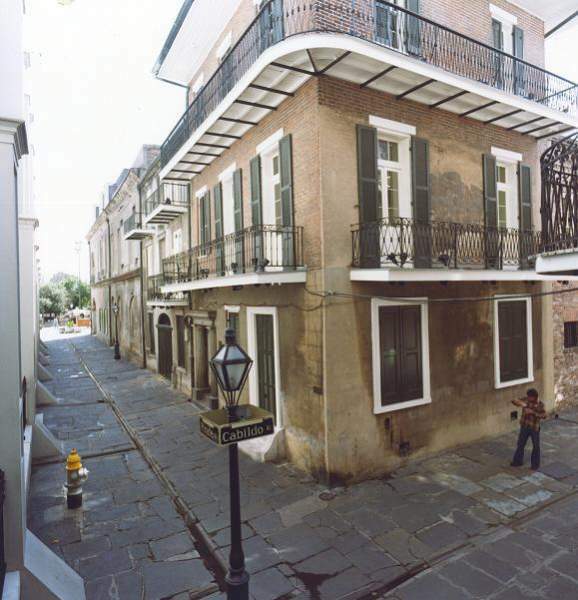 One legend maintains that pirates traveled this alley to enter the town from the Mississippi River. 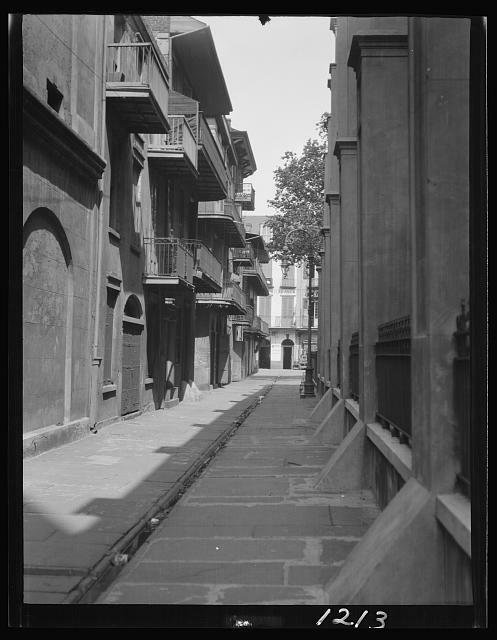 Another suggests that pirates and other criminals were often seen being escorted to the prison via this route. In 1814, Pierre Lafitte, brother of Jean Lafitte, was imprisoned in chains in the Calabozo, until his escape on September 6, 1814. 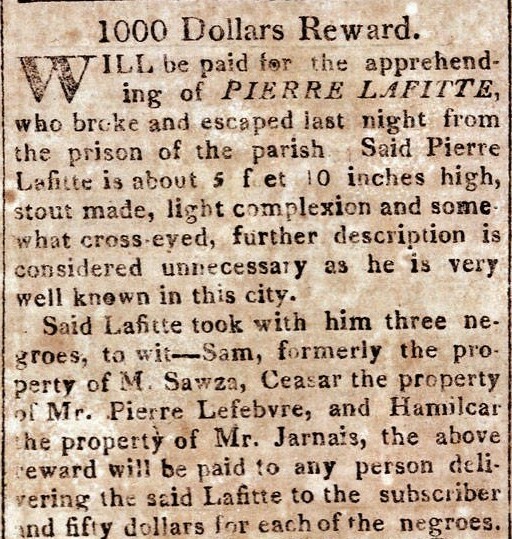 Even though a thousand dollar reward was offered for his capture, Pierre Lafitte was not apprehended and served honorably at the Battle of New Orleans. 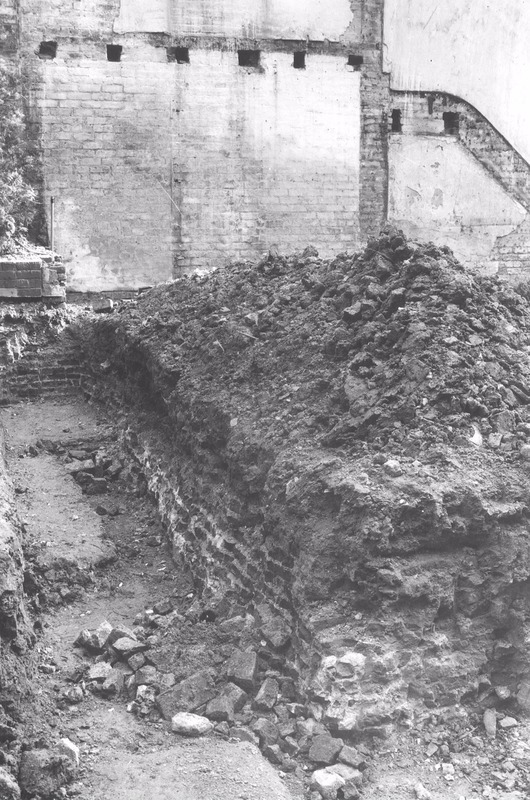 The prison was demolished in 1837 to allow for the construction of the Arsenal. 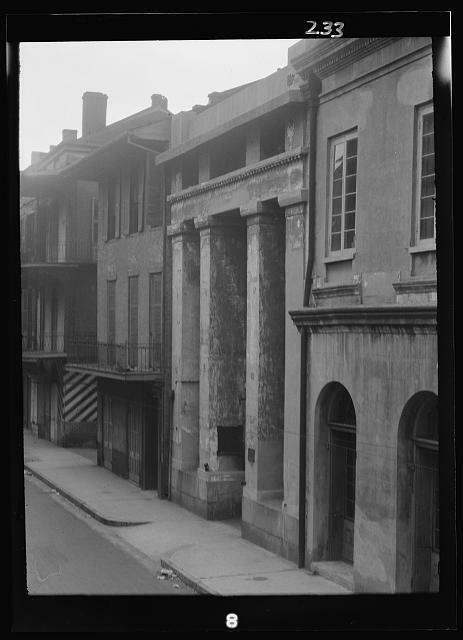 In 1836, the Louisiana legislature passed a bill to construct the “State Armory” or Arsenal on this property, fronting St. Peter and Orleans Streets between Royal and Chartres Streets. From 1846 until the Civil War, the Orleans Artillery occupied the building. 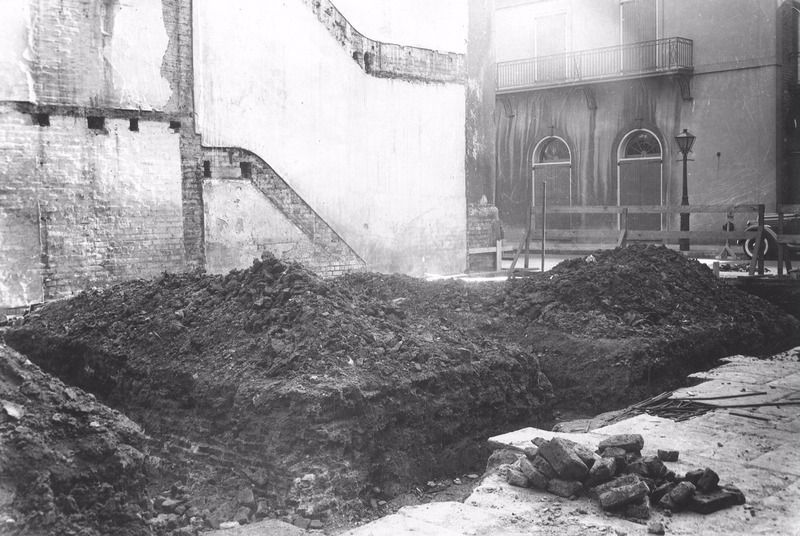 After the Union forces captured New Orleans, the Arsenal served as a military prison and Federal headquarters. During the most violent period of Reconstruction, the Metropolitan Police controlled the arsenal until September 14, 1874, when the White League Democrats defeated the Metropolitan Police at the Battle of Liberty Place. The White League prevailed at first, occupying the Cabildo and Arsenal for three days until President Ulysses S. Grant sent in federal troops to restore order. 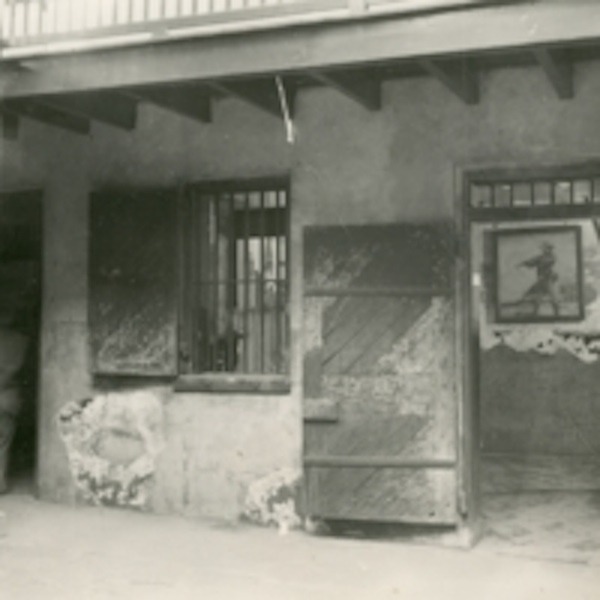 After Reconstruction ended, the building again became the State Arsenal until it was transferred to the Louisiana State Museum on March 15, 1914. The Arsenal was dedicated as “Battle Abbey” for the centennial celebration of the Battle of New Orleans in 1915. 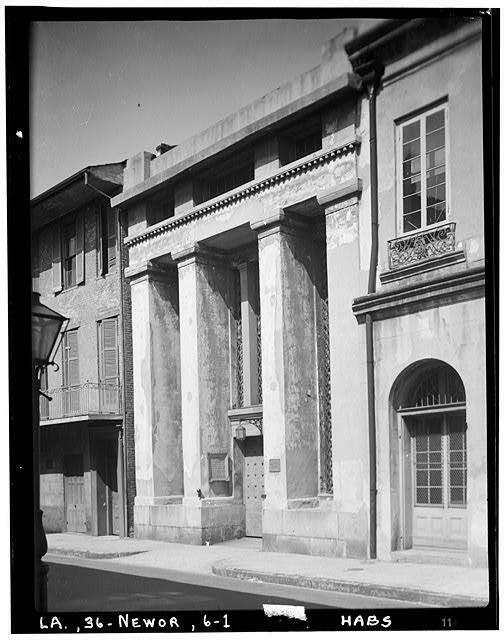 The Creole House, at 701 Chartres Street, and the Jackson House, at 616 Pirate’s Alley, are also both owned by the Louisiana State Museum, but closed to the public. The three story antebellum houses share a courtyard with the Arsenal and occupy the site of the French Guard House and later the Spanish Calabozo, which was demolished in 1837. Both houses have two-story slave quarters at the rear of their properties. 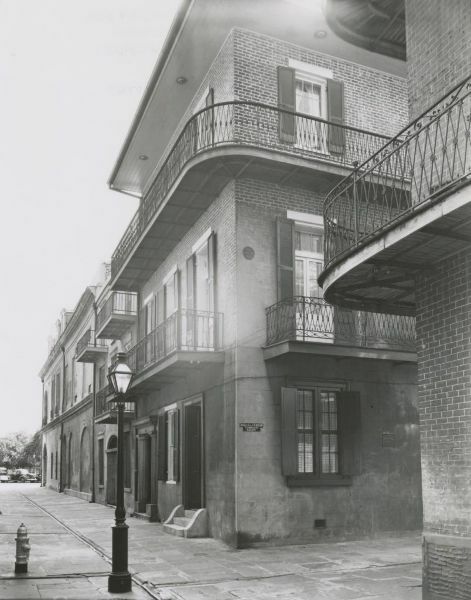 On May 11, 1988, the Cabildo caught fire, resulting in the closure of the Creole House for repairs. 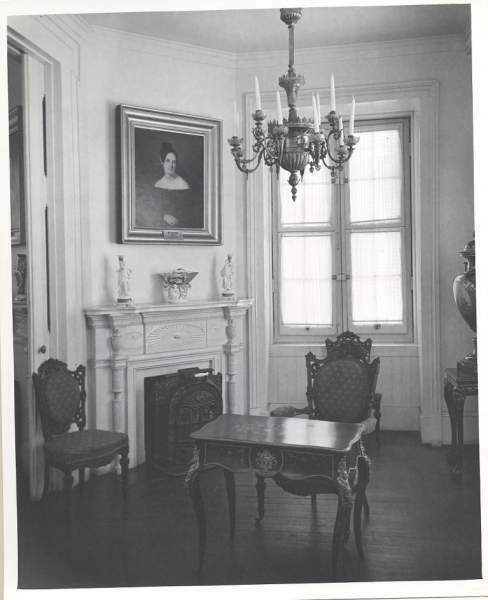 Fortunately the Creole House was not damaged, but was included in the restoration of the Cabildo that followed. 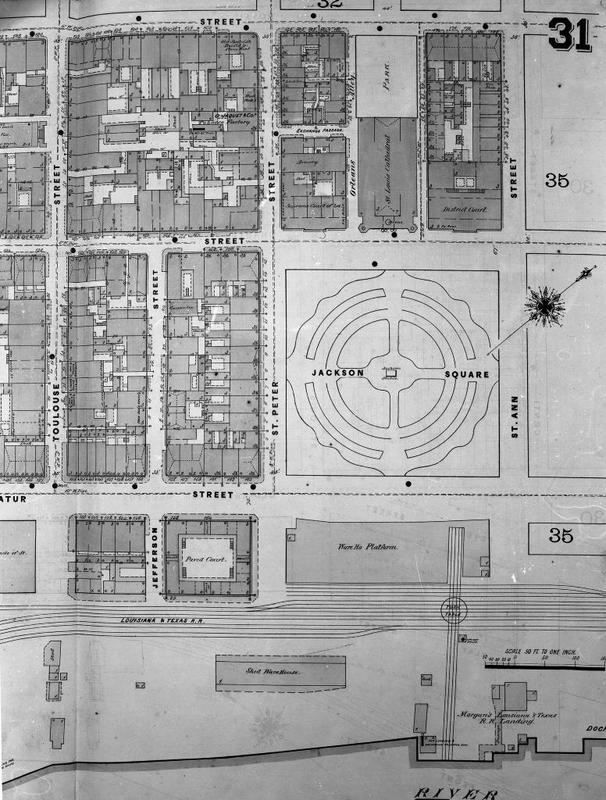 Sanborn Map 1876: Upper right-hand corner, above Jackson Square, one can see the original term "Orleans Alley" for Pirate's Alley. 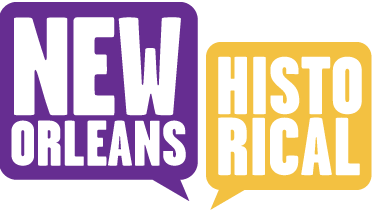 Mary Ann Wegmann, Jenny Star, Louisiana State Museum, and University of New Orleans History Department, “Battle of New Orleans: Pirate's Alley, The Arsenal, Creole House & Jackson House,” New Orleans Historical, accessed April 19, 2019, https://neworleanshistorical.org/items/show/516.